A shekere is a wonderful, versatile instrument from Africa. 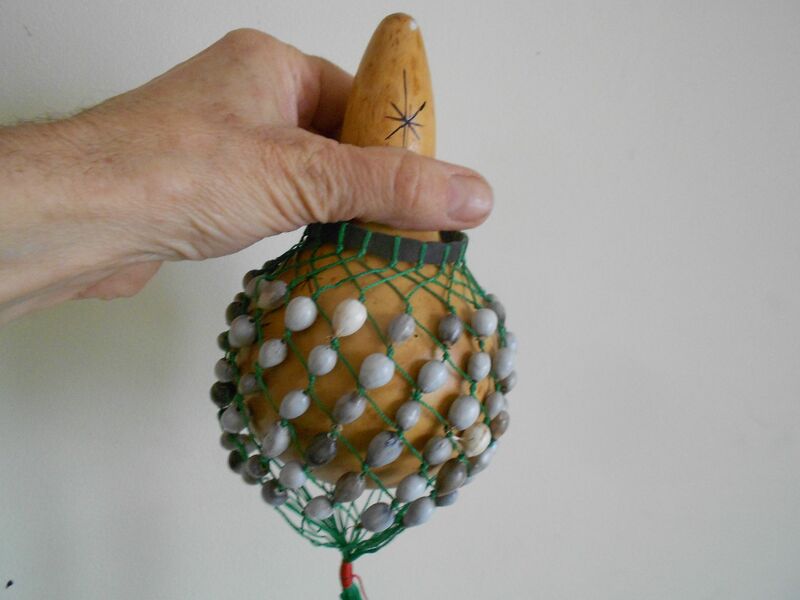 Made from dried gourds of various sizes, the instrument has a netting over its rounded area that is beaded or woven with shells, seeds, nuts or other objects that rattle. Since making the knots for the netting can be hard for smaller hands, we’re sharing a simplified version perfect for making with a child, a group of siblings or a classroom of kids. 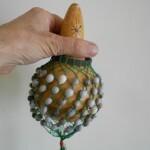 Shekeres are made from dried birdhouse gourds. After they are harvested and stored for about a year in a dry location, they become sturdy and have a hardened outer shell. 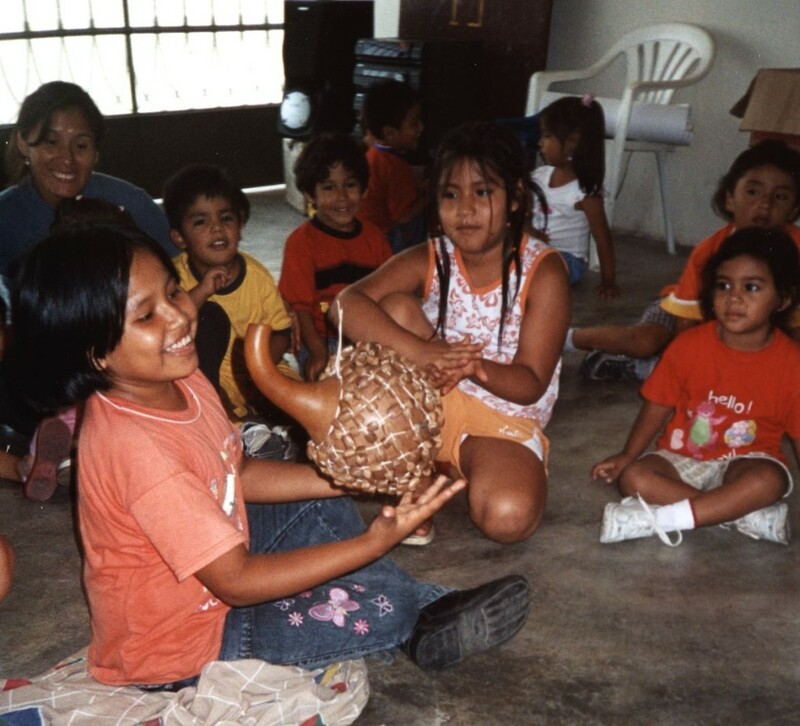 As the gourds dry, the shell may not look perfect so some craftspeople sand the shell, bleach the shell or even paint and decorate it to make it more appealing before they begin the beading process. You can try any of those approaches as well or use them “au natural”. The formal beadwork on a shekere is called a skirt. 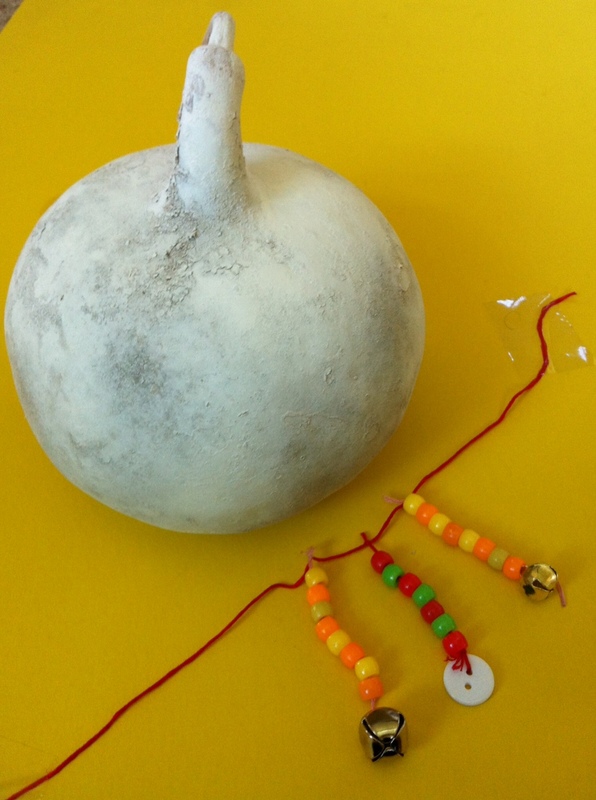 For this project, our gourds will only have a necklace instead of a full “skirt”. 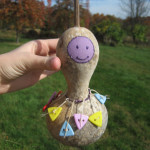 Take a piece of string, twine or embroidery thread and twist it around the top of the gourd, marking where it will overlap. Measure it tight enough to stay on the gourd, but loose enough to rattle. Don’t tie the string but instead lay it flat on a work surface. It can be helpful to tape it into place. Looking at the length of the string, you can get a good idea of how many strands of beads you can create to put onto it. Collect your bangles! 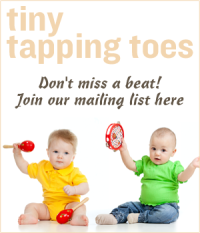 Look for any type of beads, buttons, jingle bells or similar objects you can use to create the sound of your instrument. 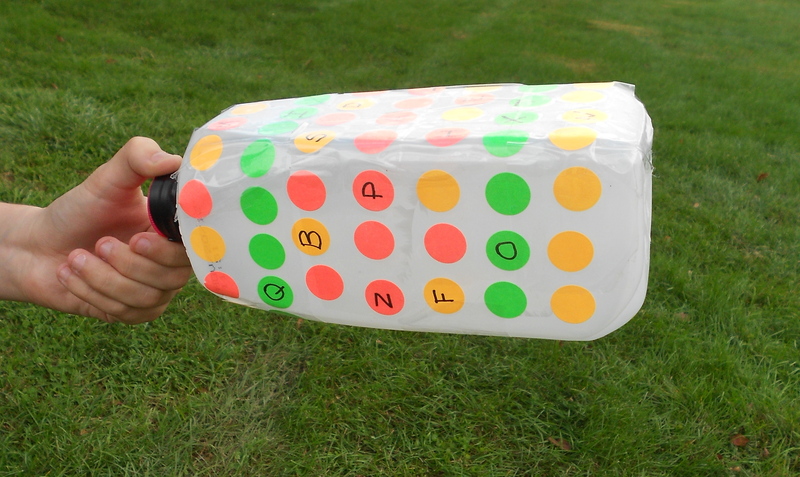 Here are some ideas for making several different types of creative shekeres. Parent and child create strands of noise-makers and they are strung alternately on the gourd. Sister and brothers or friends create strands of noise-makers and they are strung on the gourd. 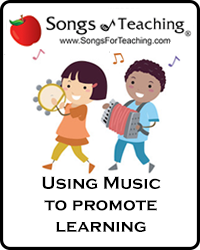 Each student or participant makes one string of noise-makers to add to the classroom instrument. 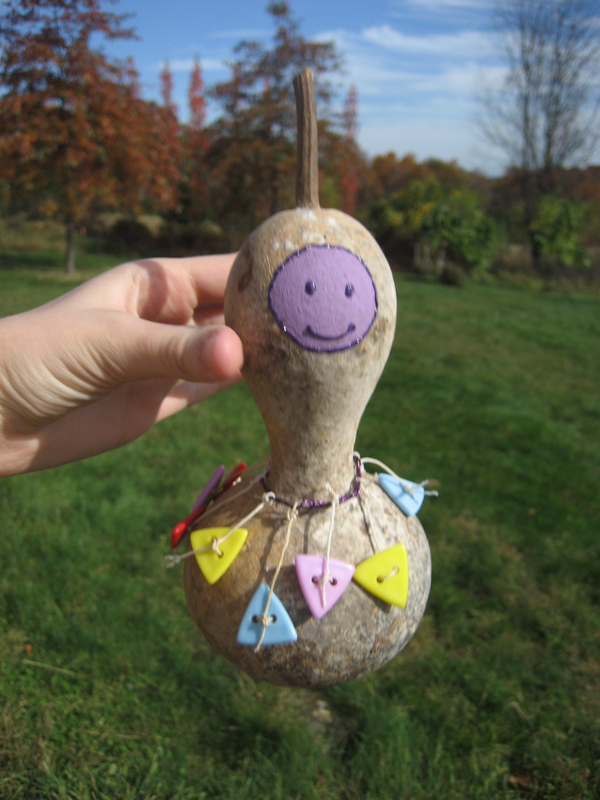 After you’ve finished creating your strands, add them to the necklace and tie it into place on the gourd. 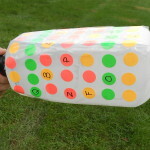 Although these easy shekeres may not seem as versatile as their bigger cousins, you can hold them from the top and create several different types of rhythms. And if dried gourds are not readily available in your area, we’re also sharing a link below for making a recycled version out of plastic milk jugs. 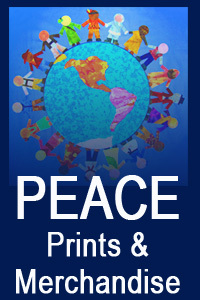 Experiment with what you’ve created and have a blast! Use A Shekere To Learn The Alphabet!